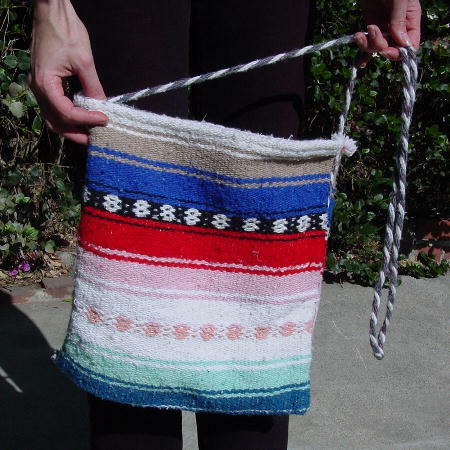 This vintage woven tote is in royal blue, red, baby pink, white, coral, mint, black, and khaki-wheat. It has a tight weave pattern and a 53" long woven shoulder strap in gray and white. It belonged to a South American model. She said she had it since she was a young girl, and carried it with her everywhere. She sold it because it's not big enough to carry her portfolio in.